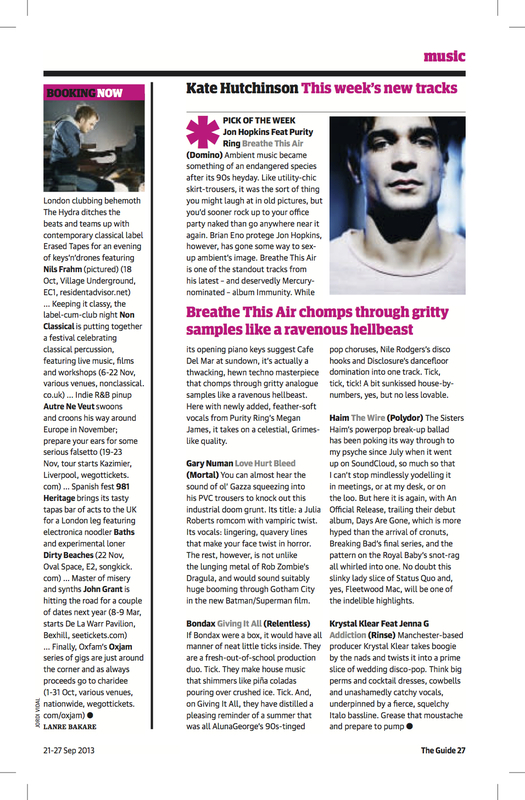 A review of the week's singles in the Guardian Guide, which originally appeared in the issue 21-27 September 2013. Probably one of my favourite things to write. Sorry Gary Numan. You can read it online here.